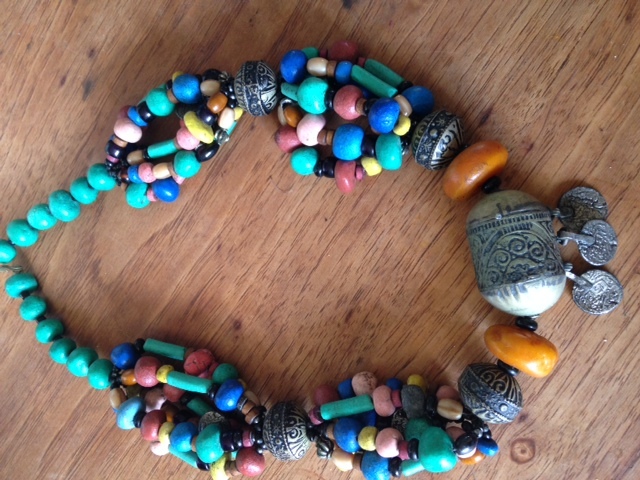 Another sweep through my jewelry collection. Getting closer to the essentials. Making some hard decisions about what to sell. Most of these pieces are from Oaxaca and you will recognize traditional designs many reminiscent of Frida Kahlo, with amazing filigree work, and excellent craftsmanship. Several are from visits to Mexico City and Michoacan. 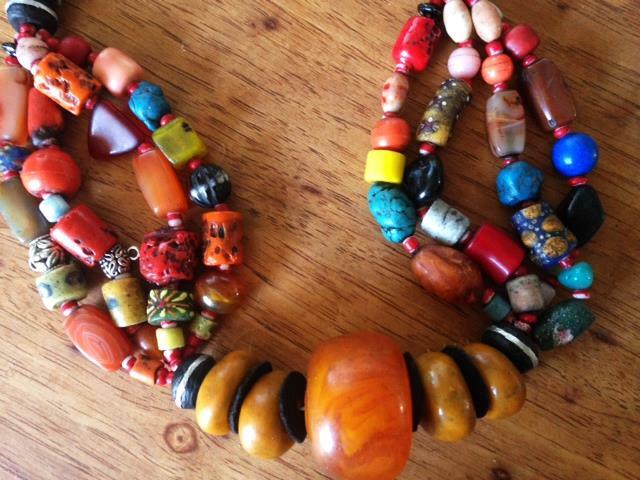 I rarely wear them now, so here is an opportunity to bring some fine Oaxaca and Mexico pieces home. Please make your purchase before July 1, 2016. 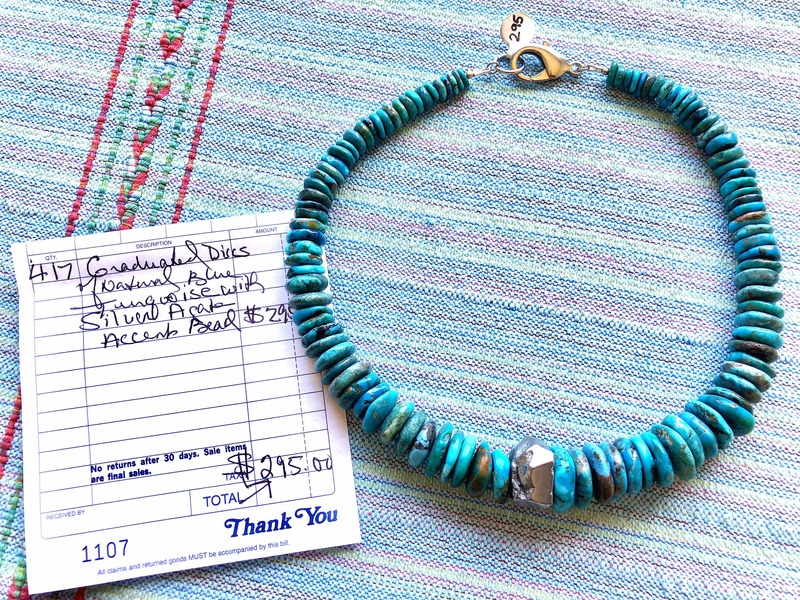 I’m leaving Oaxaca to visit the U.S. and will bring your piece(s) with me to mail to you via USPS Priority Mail. I include mailing in the price. 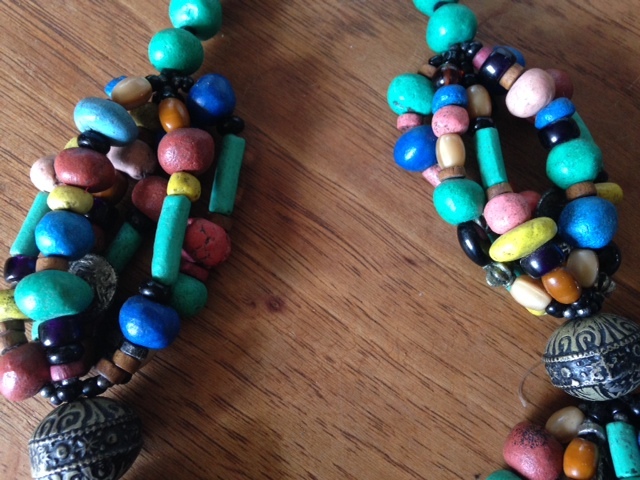 You send me an email telling me the piece(s) you want by number and I send you a PayPal invoice. I confirm receipt of payment and ask you to send me your mailing address. 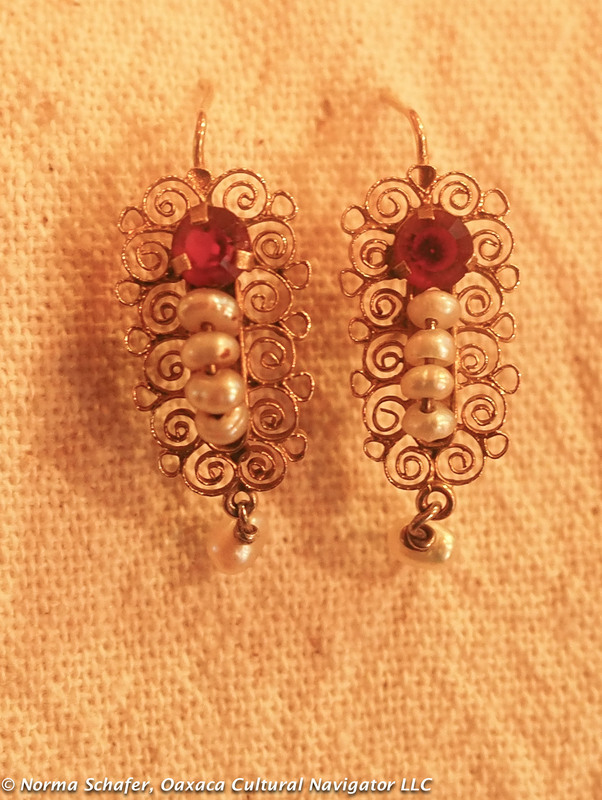 #1: 10K Gold vintage Oaxaca filigree earrings with pearls and bezel set, big juicy cut red glass, floral style, 2″ long. Traditional, beautiful. $350. Rare. #1. 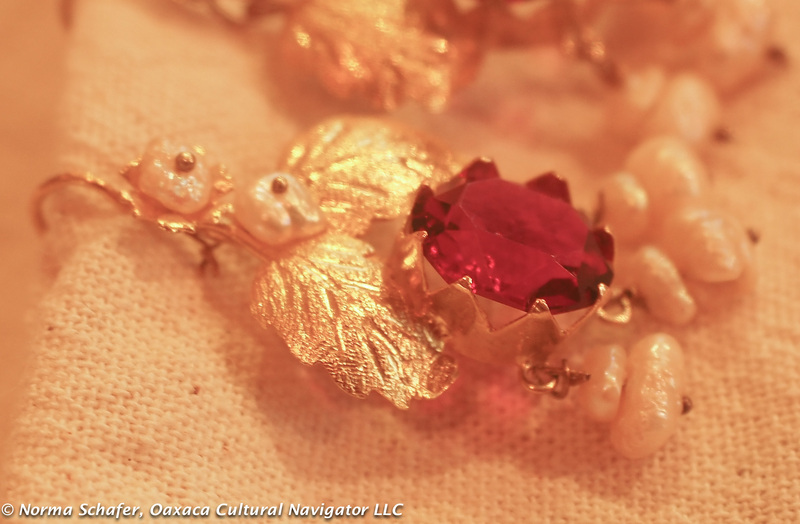 10K Gold filigree leaves with pearls and red cut glass, bezel set. $350 USD. #1. 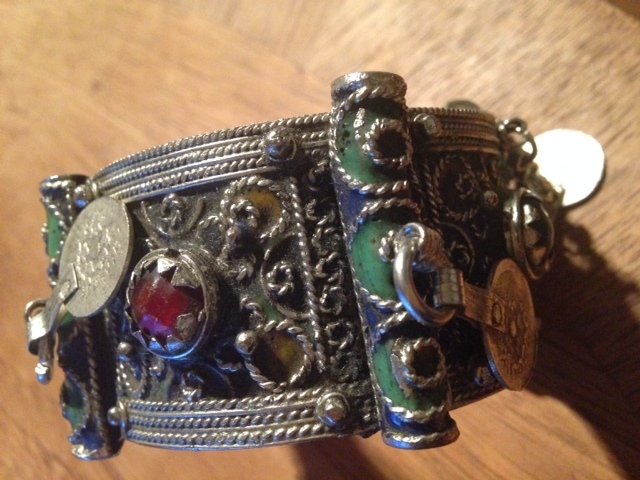 Another view of the stone set in a bezel. #2. 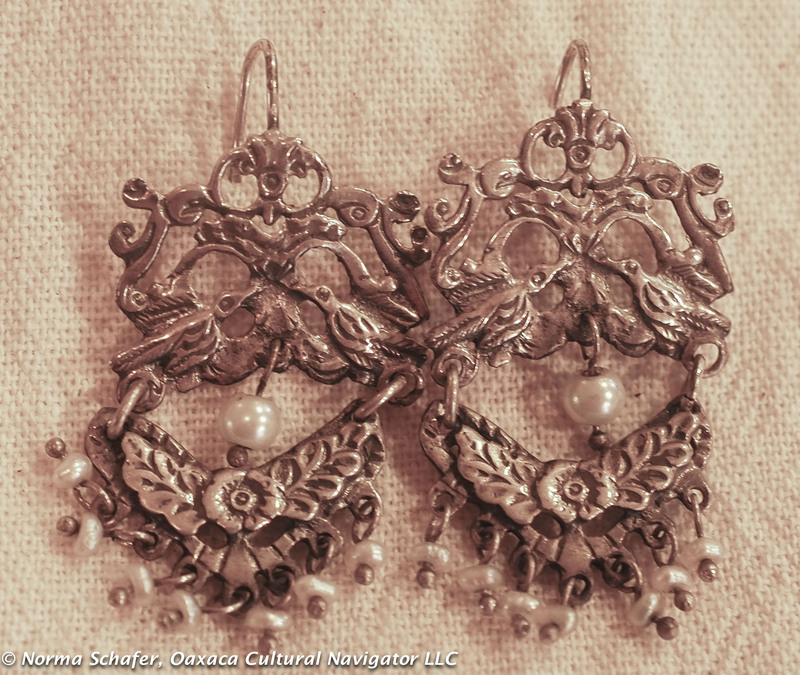 10K Gold filigree vintage pearls and cut glass in the Gusano style of earring. Lots of lustre. Glass is secured with gold prongs. Gusano is the maguey worm that adds flavor to mezcal! 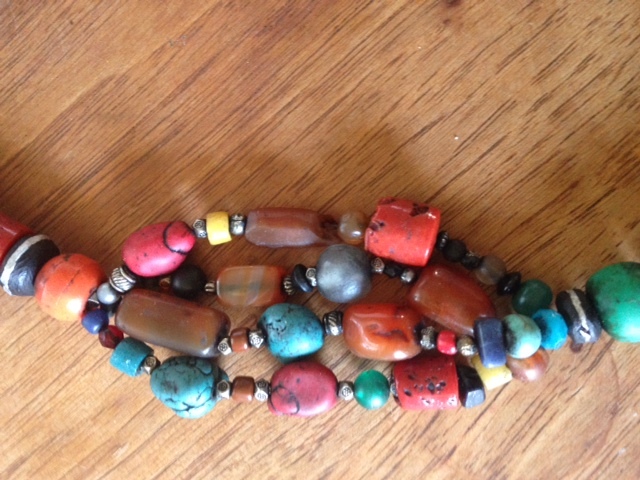 1-1/2″ long. $325 USD. Rare. #3. SOLD. 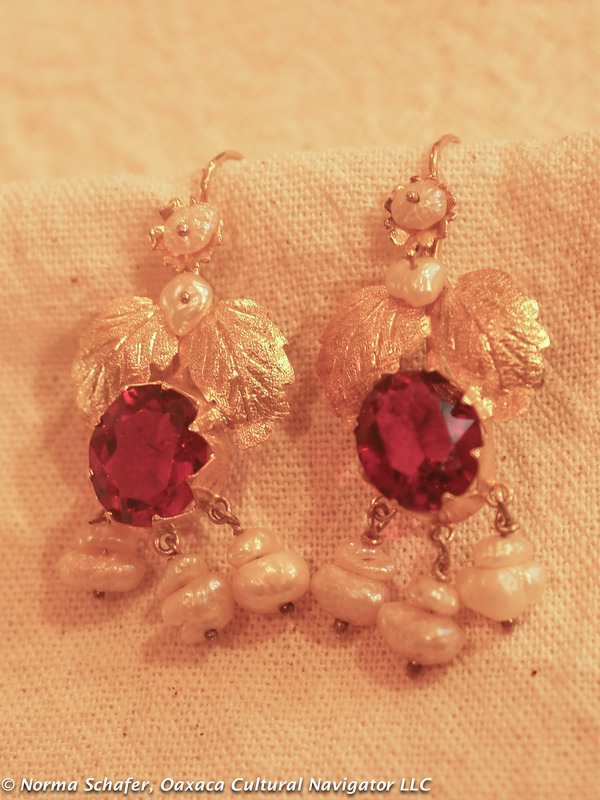 10K Gold, vintage pearl and cut red glass mini-gusanos. These are small and delicate, 1″ long. $65 USD. Rare. #4. 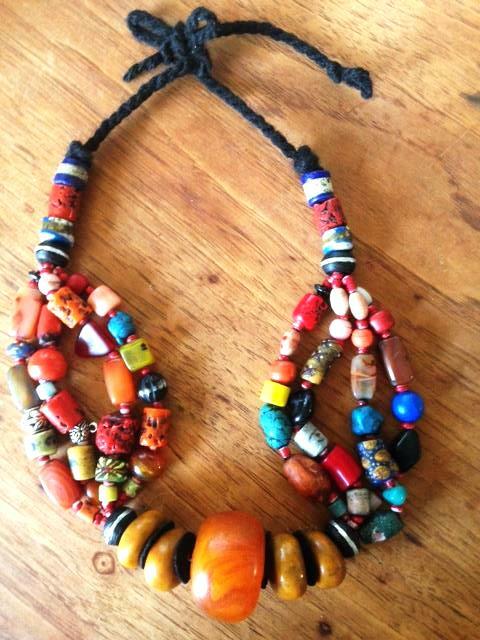 I bought these from a famous Oaxaca jewelry maker and wore them a few times. Just too big for me, but maybe just right for you! Sterling silver, love birds, dangling jars and hot pink cut glass accent. 3″ long. $245 USD. #5. 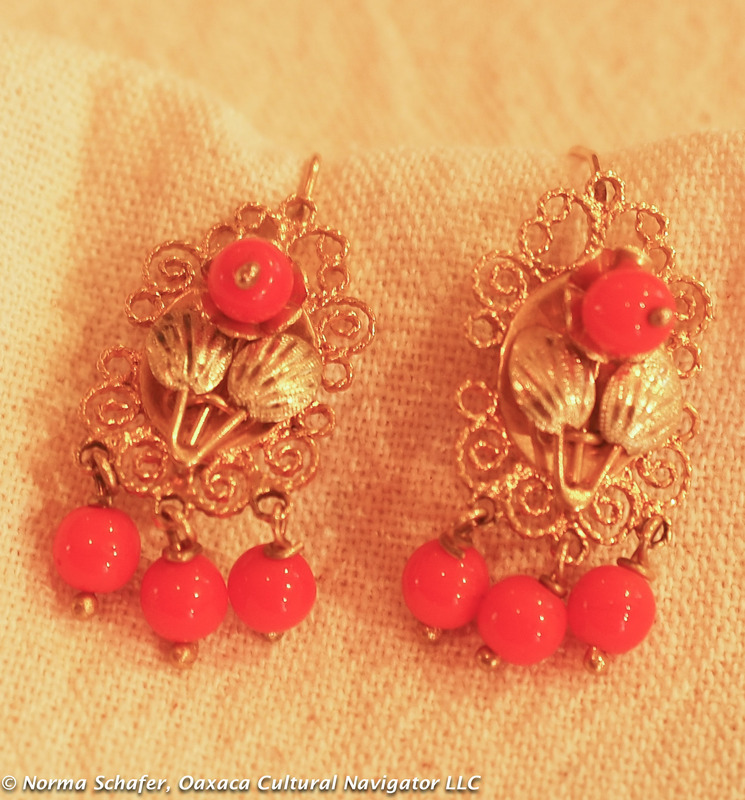 10K Gold vintage filigree and coral earrings. 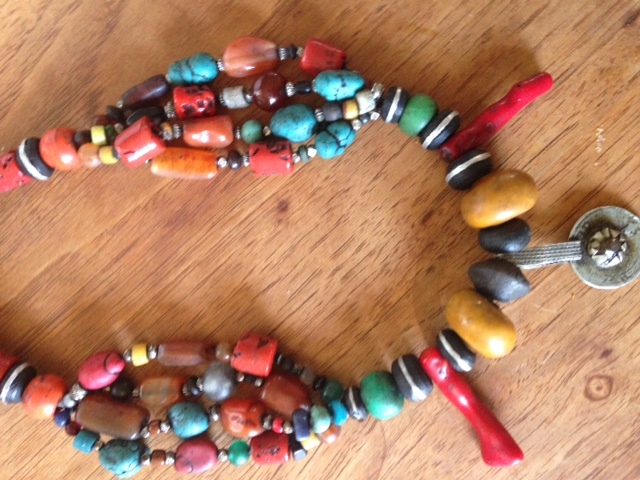 I bought these in Mexico City some years ago. Beautiful filigree work. 1-1/2″ long. $220 USD. #6. Sterling Silver and pearl birds and flowers. 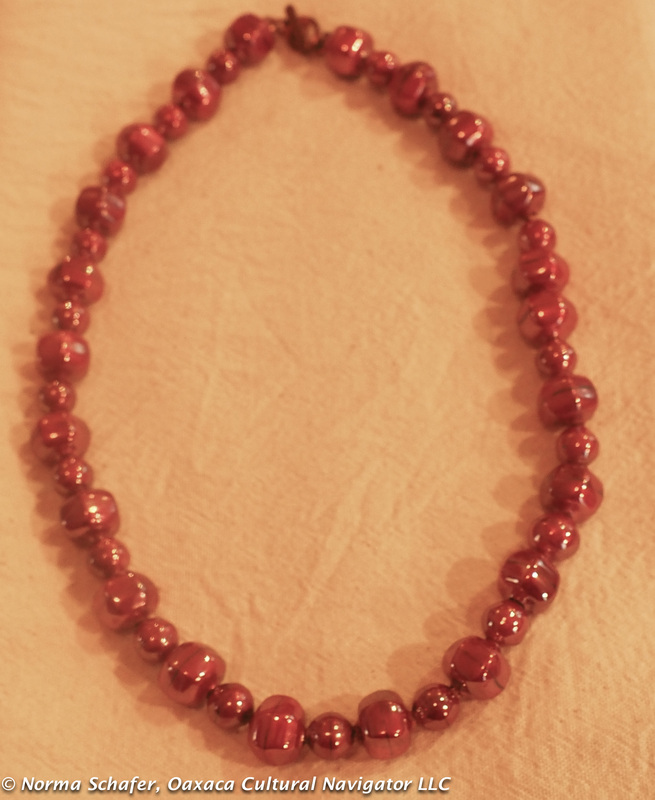 1-3/4″ long. $175 USD. #7. The centers of the circles are white sapphires and sparkle with movement. 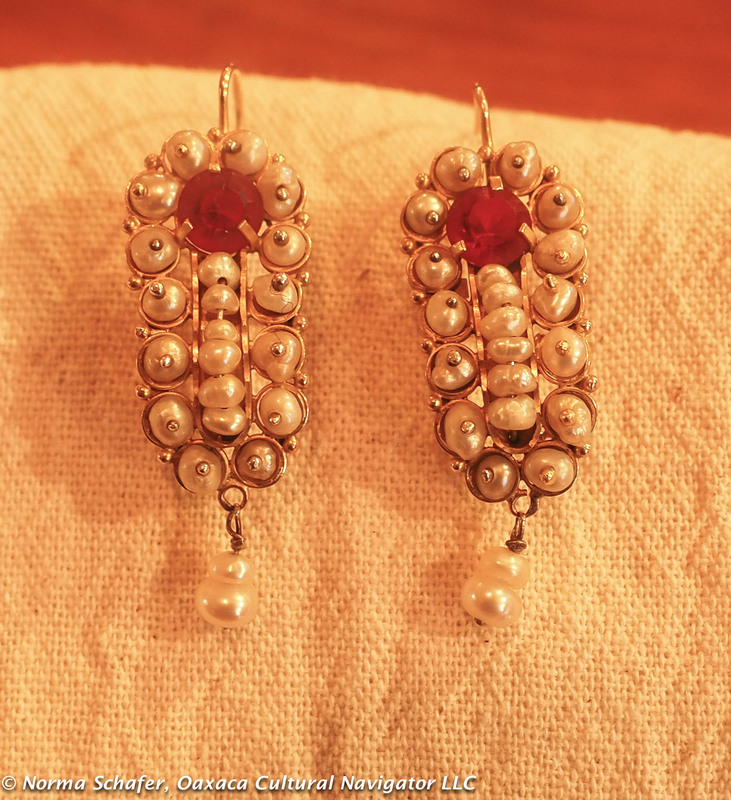 This is a vintage pair of earrings, sterling silver and pearls, with 10K gold hooks, backing and frame. I’ve never seen anything like them anywhere. 2″ long. $145 USD. Rare. #8. 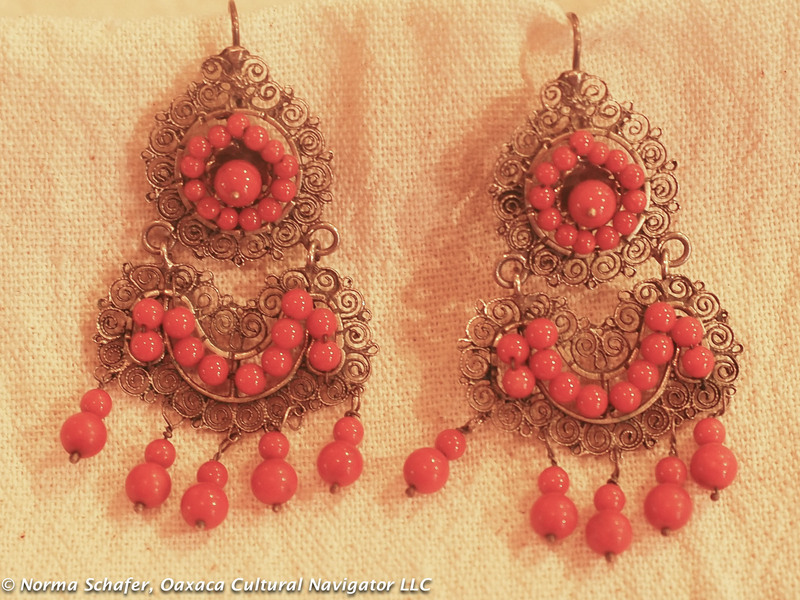 Traditional Oaxaca sterling silver filigree earrings with coral beads, new. 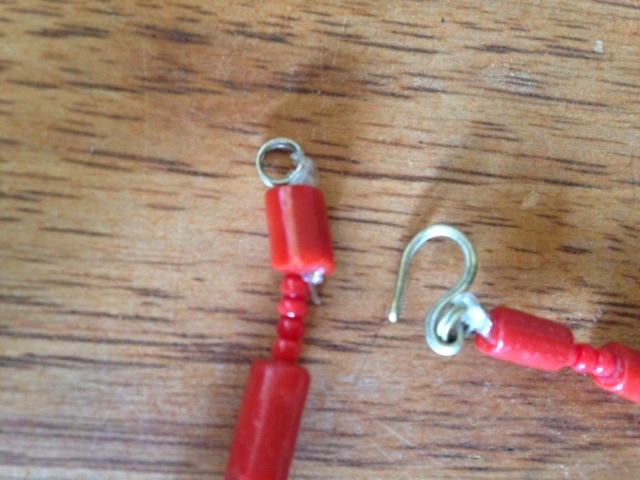 2-1/4″ long. $95 USD. #8. 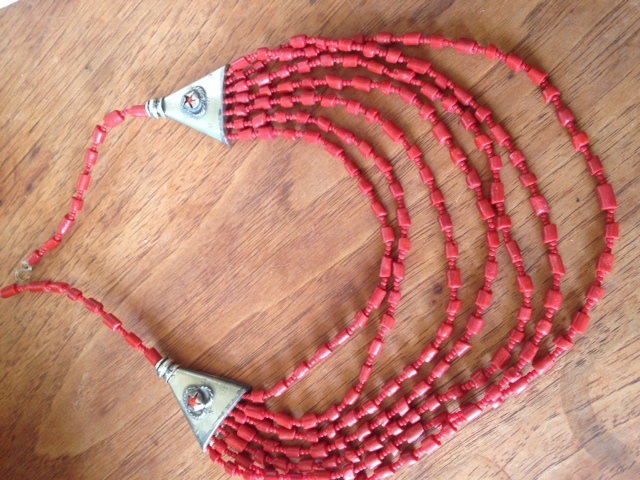 Traditional sterling silver filigree and coral earrings, new. $95 USD. #9. SOLD. 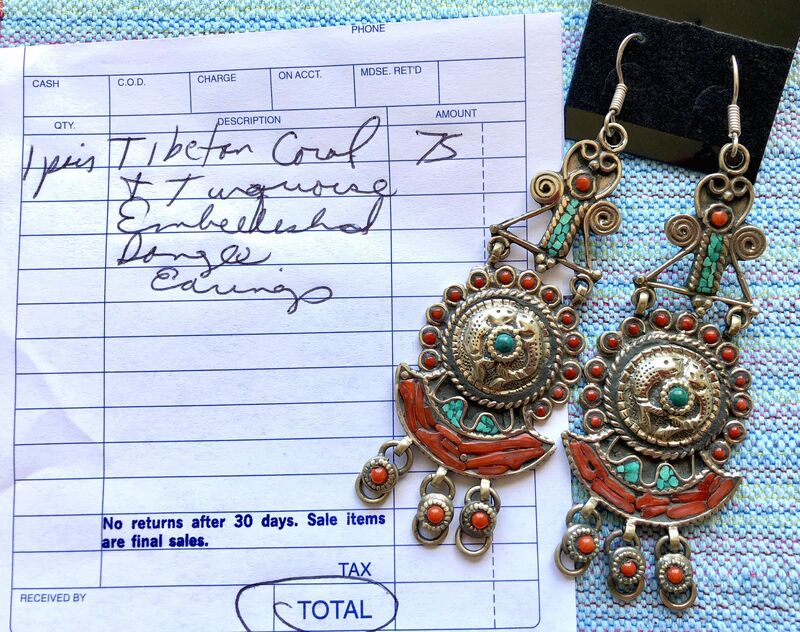 I bought these sterling silver filigree and turquoise earrings directly from the man who made them in his home workshop in Xoxocotlan, Oaxaca. 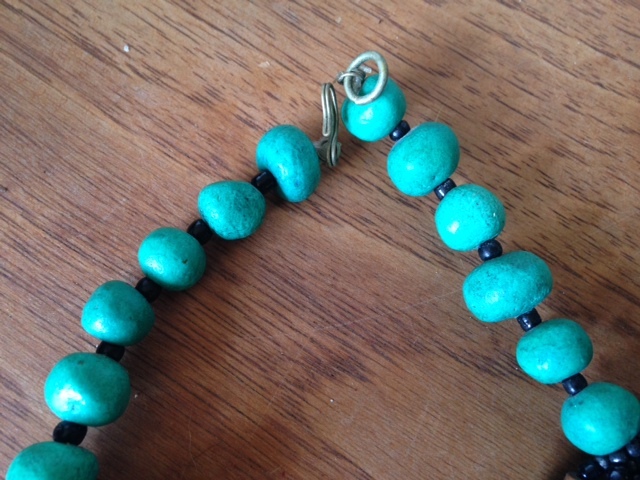 The turquoise is a little more blue than the photo shows. 1-1/4″ long. They can be yours for $125 USD. #9. 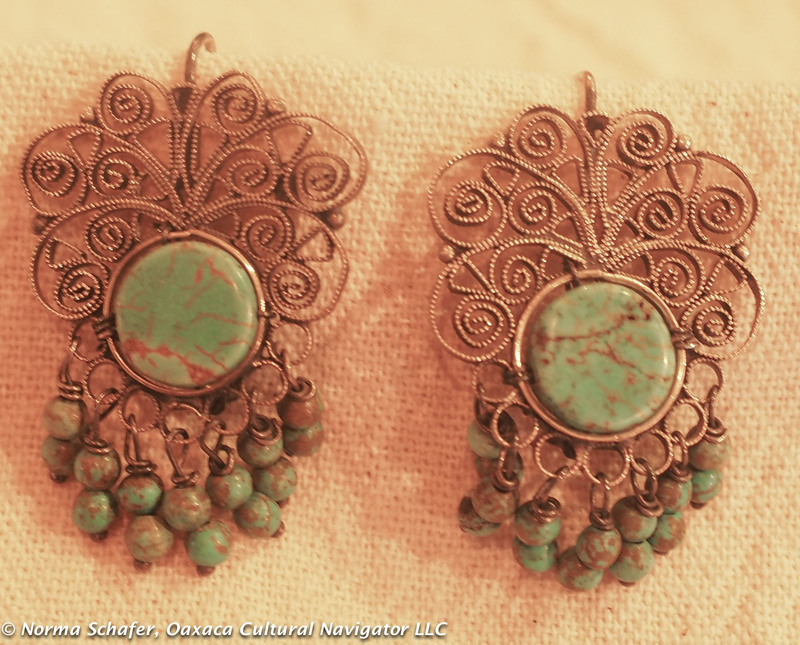 Sterling silver filigree and turquoise earrings, $125 USD. #10. 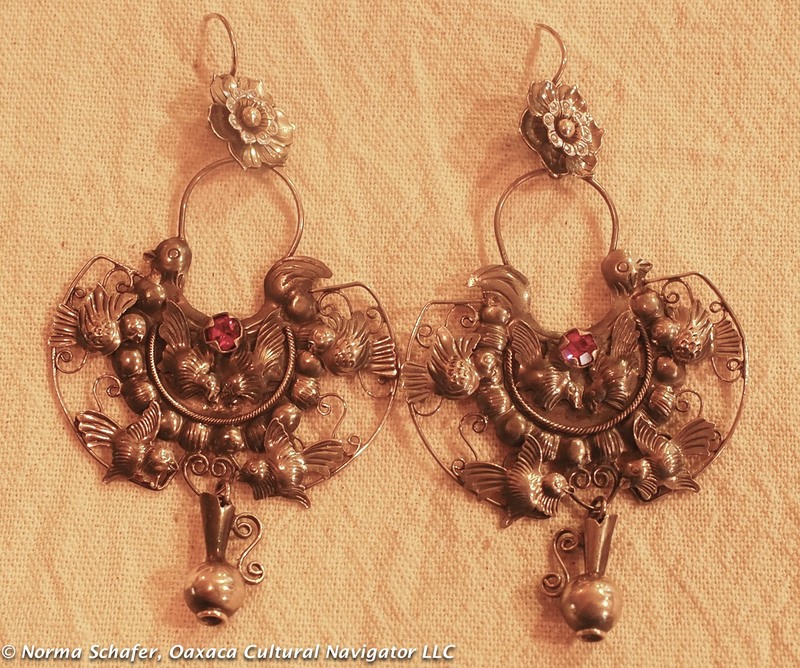 Sterling silver earrings, hand-crafted by a famous Oaxaca jewelry maker, this is the squash blossom design. 2″ long. $95 USD. #10. 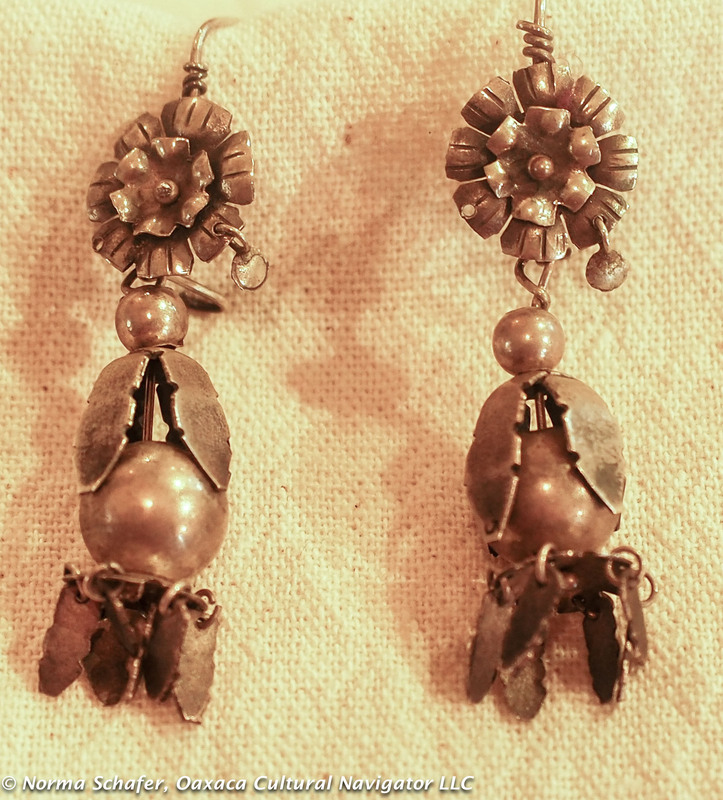 Oaxaca famous maker squash blossom earrings, sterling silver. $95 USD. #11. 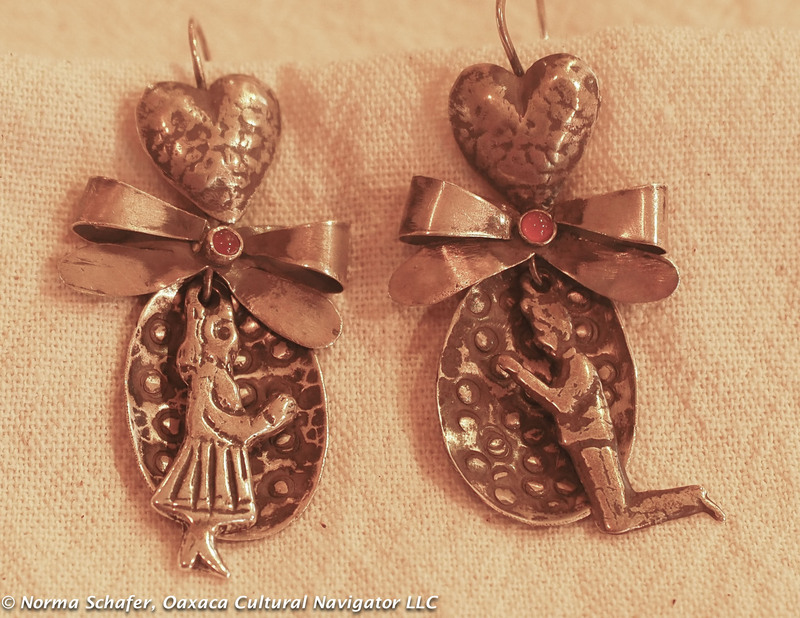 Sterling silver handcrafted designer earrings with hearts, milagros, bows, and bezel set carnelian cabuchons. 2-1/4″ long. $125 USD. #11. 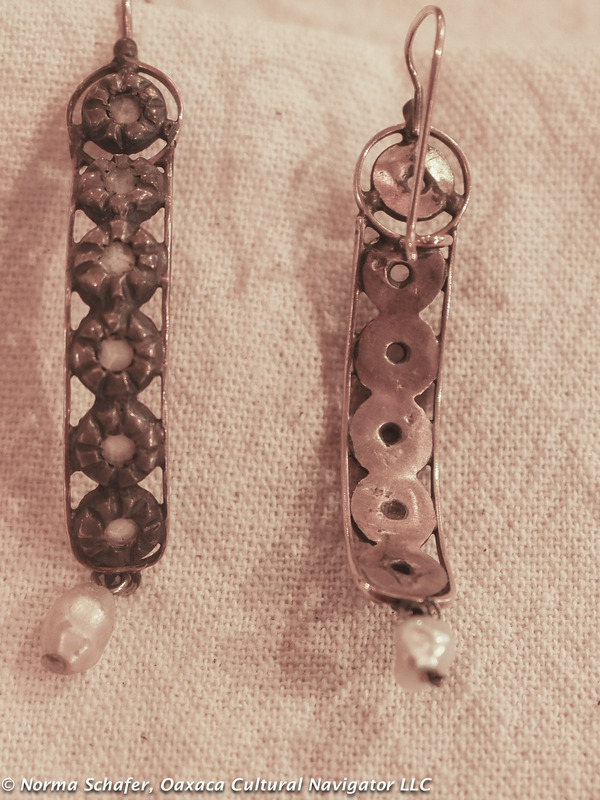 Hearts milagros sterling silver earrings, carnelian cabuchons, $125 USD. #12. 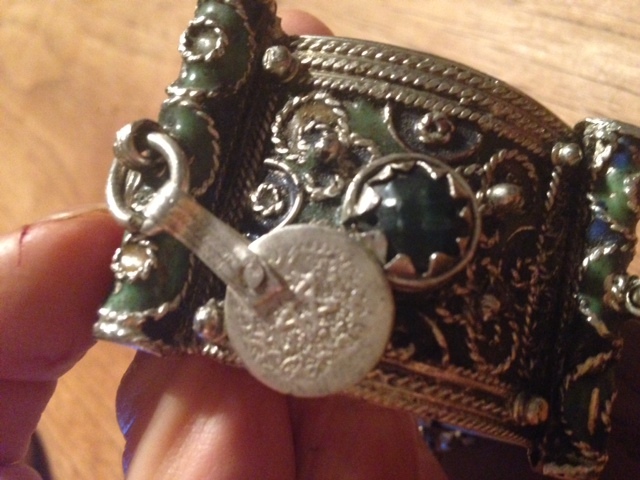 Sterling silver vintage Mexican necklace from Taxco, marked 925. 18-1/2″ long, sturdy, secure box clasp. 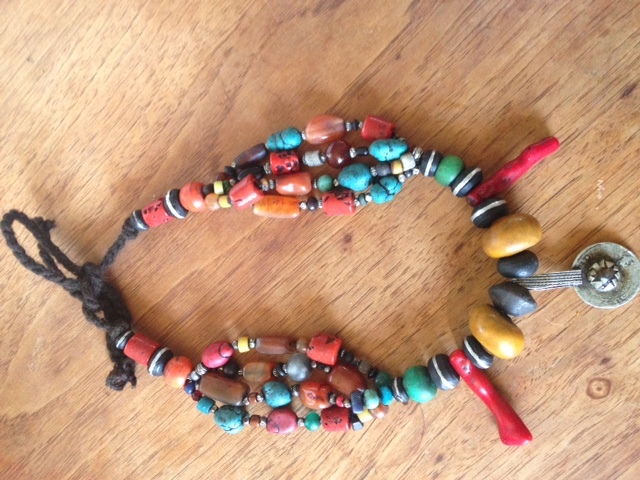 Bought in Mexico City. $85 USD. #13. 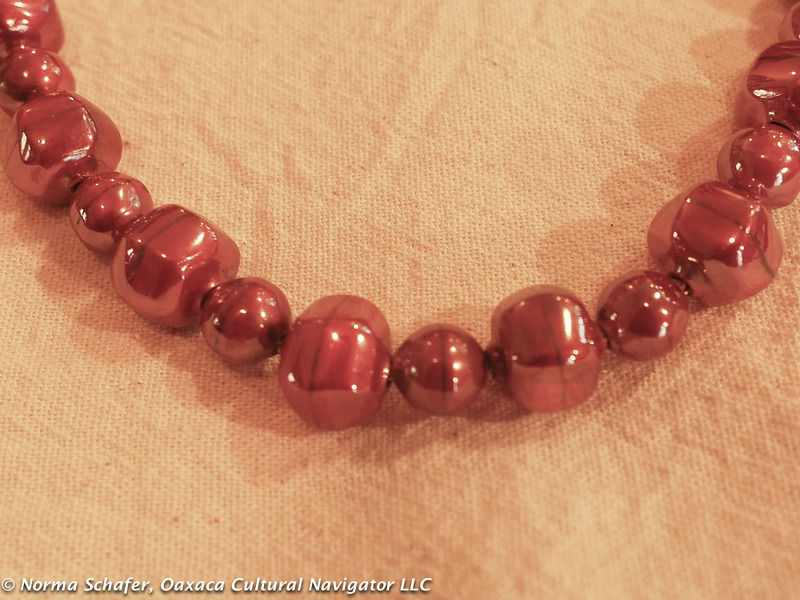 Handmade Mexican copper beads from Santa Clara del Cobre, Michoacan, 20″ long, strung on copper. $65 USD. #13. 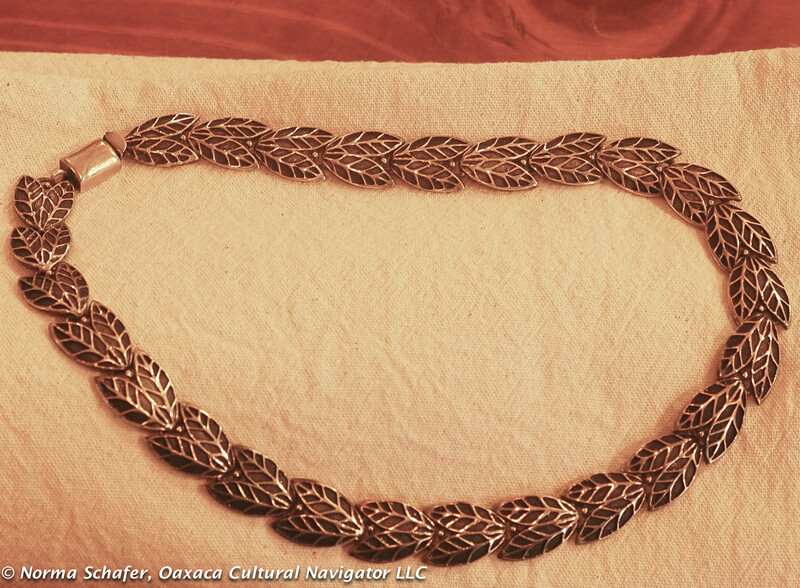 Copper necklace from Michoacan. 20″ long. $65 USD. #13. 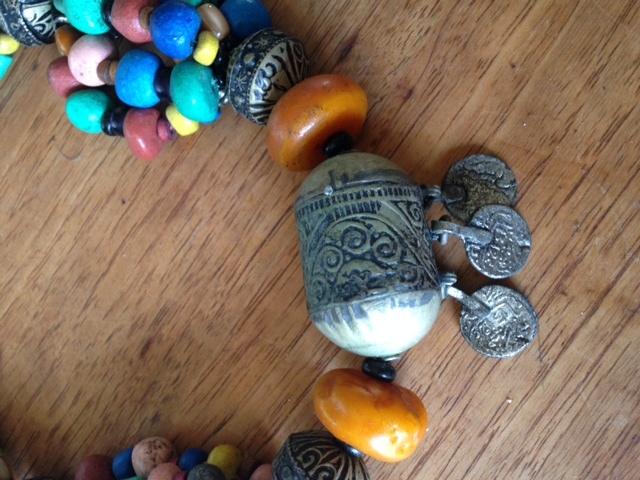 Full view copper necklace. #14. 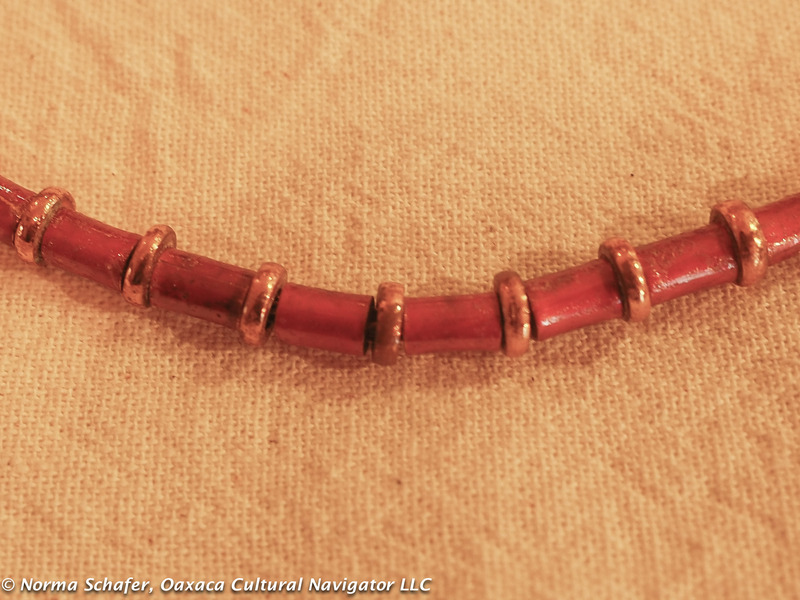 2-tone Copper Necklace from Santa Clara del Cobre, Michoacan. 22″ long. $65 USD. #14. 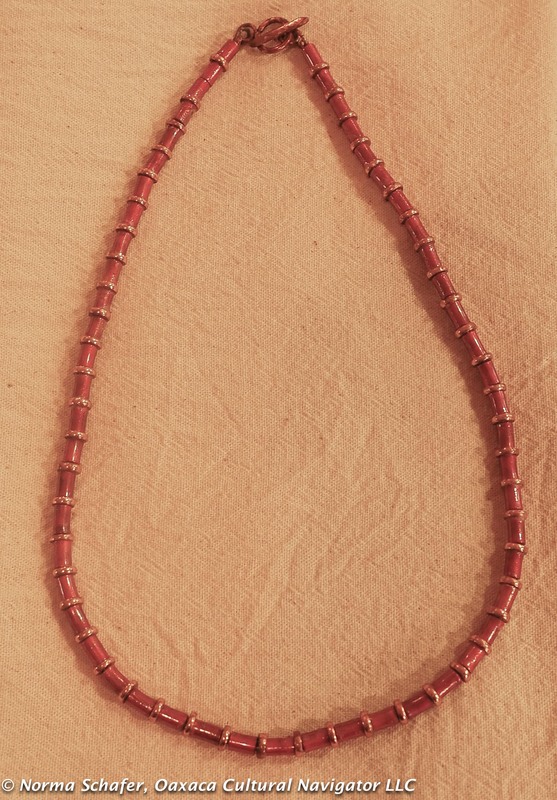 Full view of copper necklace, 22′ long.